On Thursday, May 18, two women and a boy were injured after falling from a Ferris wheel in Port Townsend. The incident occurred at the Rhododendron Festival at Memorial Field. 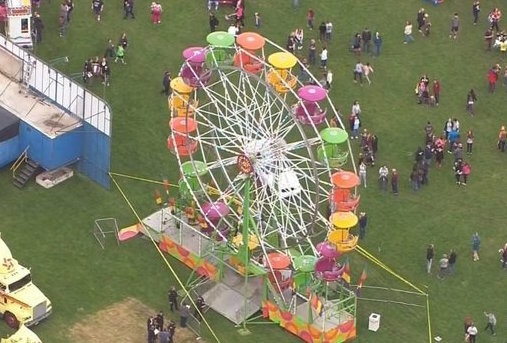 According to accident reports, one of the Ferris wheel carts flipped over while in operation. The three riders fell more than 15 feet from the ride. The authorities are currently investigating the cause of the incident. While the exact conditions of the victims are unknown, our hearts and sincerest thoughts goes out to those involved. The Outdoor Amusement Business Association estimated that 500 million guests visit carnivals, fairs and festivals each year. These attractions provide family-friendly entertainment in the community. However, they can pose a serious inherent risk of injury. The safety and security of guests must be the top priority for all carnival owners, ride manufacturers and operators. This includes providing adequate restraints, regular maintenance and inspections and trained employee supervision. If proper safety measures and practices are not implemented with the highest degree of care and attention, amusement ride injuries—such as the recent Port Townsend Ferris wheel incident—will occur. Our amusement ride liability attorneys have experience dealing with such cases. We carefully analyze every detail and aspect of the incident to determine liability or negligence. 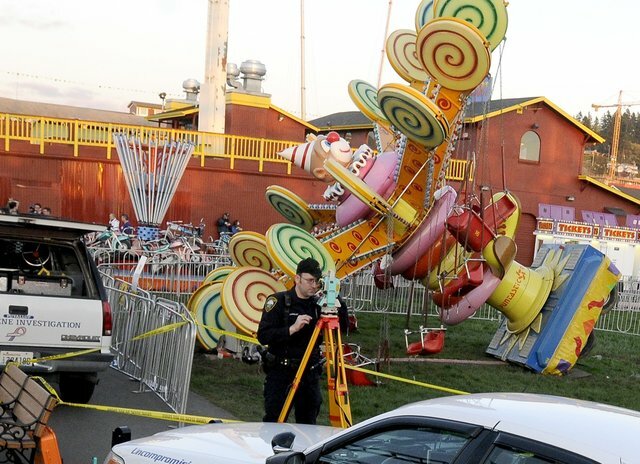 In 2009, attorney James McCormick settled a case for his clients involving the “Lolly Swing” ride at Puyallup’s Spring Fair—now known as the Washington State Fair. Amusement park accidents do occur more often than you’d expect and usually result in serious or fatal injuries. During this fair season, Evergreen Personal Injury Counsel will be keeping a close-eye on amusement park-related accidents in Washington. We will share any follow-up information regarding this incident. Stay safe and stay tuned.